Porfolio of E-Commerce Websites by MIS, Inc.
We create amazing websites for clients both local and around the world. 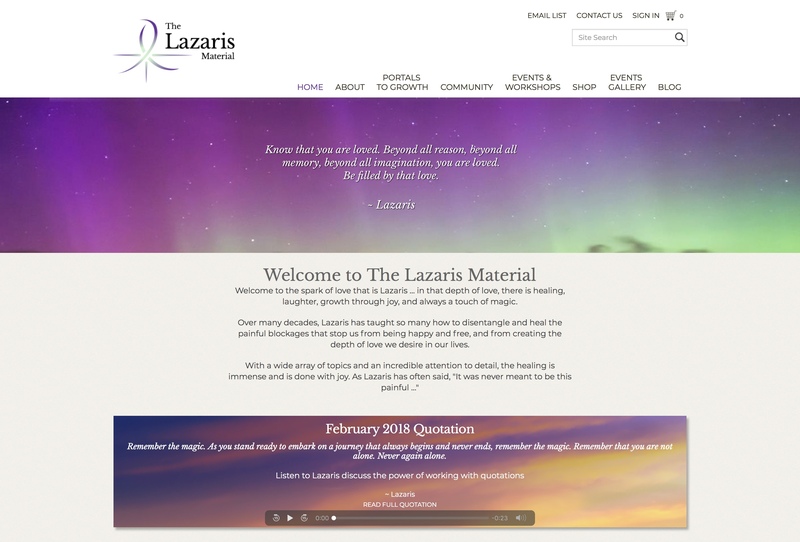 We worked closely with our friends at Artisan Creative on a new website for Lazaris.com. We were able to build their new site on the Adobe Business Catalyst platform and combine multiple tools, consolidate user accounts and streamline their processes. The main portion of the website is the e-commerce shop which incorporates Pay-per-view items, streaming audio files, recurring subscriptions and physical items.